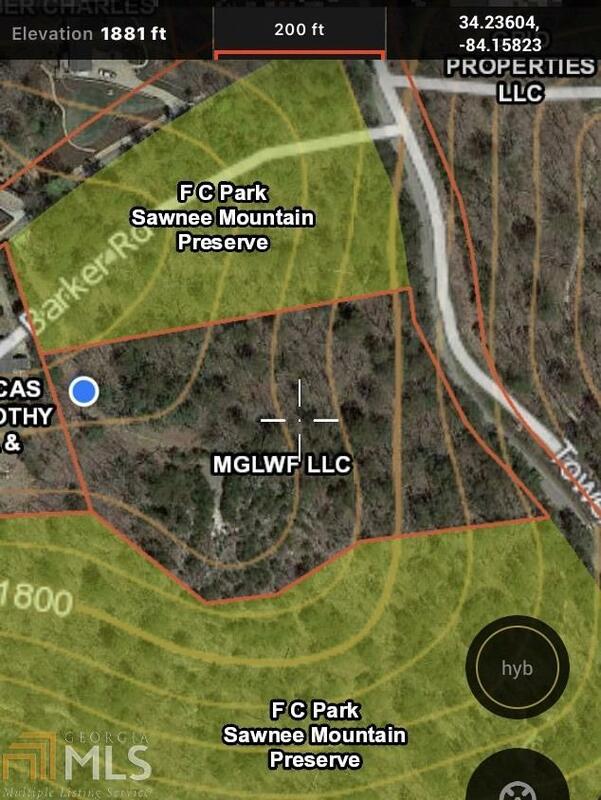 This is the LAST LOT that will ever be available on Sawnee Mountain on Tower Road. The extraordinary property sits on a promontory that allows for views from West to East from the tops of the King & Queen Buildings at I-285 and Ga. 400 all the way around to Lake Lanier. The property includes a flat area perfect for yard and home along with sloped areas with natural outcrops and boulders perfect for dramatic landscaping, walking trails, etc. The mix of hardwoods and conifers is perfect to provide for privacy year-round. This is the place for you to build your DREAM HOME!